With the Keepers and the Undead already prospering, it is now to the Heretics to also rise again in Albion - with our March update "Cador". 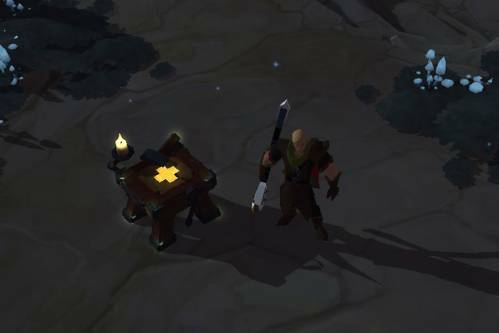 Next to the new Heretics-themed dungeons, you will also find reworked armor and armor spells in the game. Aside from this, we'll be launching some interesting gameplay changes and continue with our on-going effort of improving the UI. 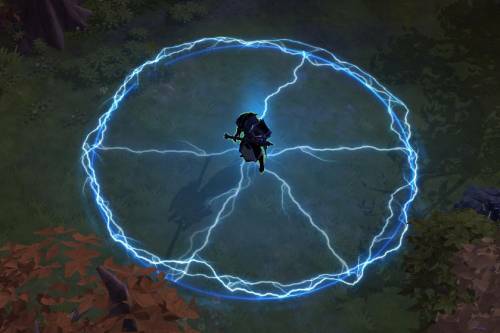 And all of that is just a stepping stone on the path to the major world changes coming to Albion later this year. Read more in change logs. New dungeons have found their way into Cador that are inhabited by the deranged Heretics. You will find them hiding away in their „Shanties“ and „Mines“. 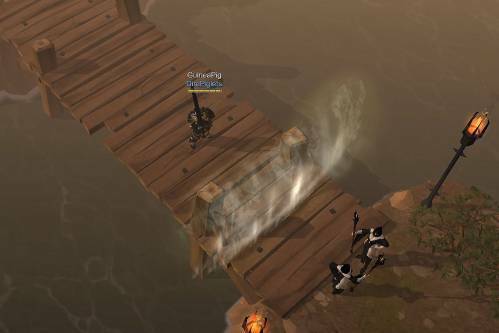 The dungeons pit lower tiered solo players and small groups against challenging PvE adventures, allowing them to learn the ropes of dungeoneering. 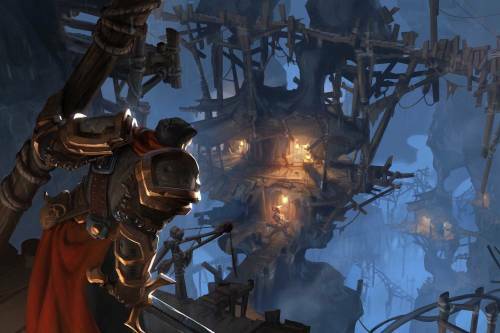 They also see the new „Gateway“ concept that allows players to enter the same dungeon from different clusters with a mighty gatekeeper potentially waiting at the end, allowing those that best him to delve even further. All those newly unearthed dungeons are not only populated by previously unseen weapons, they are also home to new bosses. First, there is the Overseer who oversees the Mines. He will try to push you into all the apathic workers slaving away in the hopes that they will join the battle on his side. Then, there is Gibson, a ruthless butcher, now known as leader of the Heretics. He and his underling Stooge will team up on you and try to bring you to your knees. Of course they also have new minions that are out to get you. 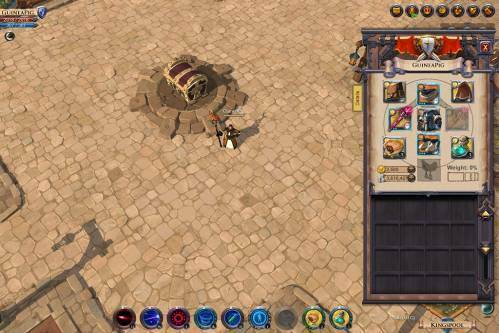 Cador introduces over 25 new spells and abilities for weapons and armors to the game. Some of the new armor abilities take a more aggressive approach in what they do. The Electric Field on leather armors drops a damaging field around your position, shocking people who came to close to you. One of the biggest changes coming with Cador is the new categorization of armors. Depending on the material of your outfit, you will now always have light (for “Cloth”), medium (for “Leather”) or heavy (for “Plate”) armor. There will still be three types within each category, now specifically suited to the different playstyles (e.g. very protective Guardian Plate armor or Mercenary’s Leather Jacket). This clears up some of the confusion the old system brought with it while maintaining the variety it offered. With the introduction of the mobile repairkit, you can extend your expeditions into dungeons quite a bit. They are furniture items that you can place practically anywhere in the world to serve as repair stations so you can quickly repair your gear. This convenience naturally comes with a few downsides. They only have a limited lifespan and repairs are way more expensive than at a permanent repair station. Following our approach that taking risks should be rewarded, a new fame bonus mechanic has been introduced. 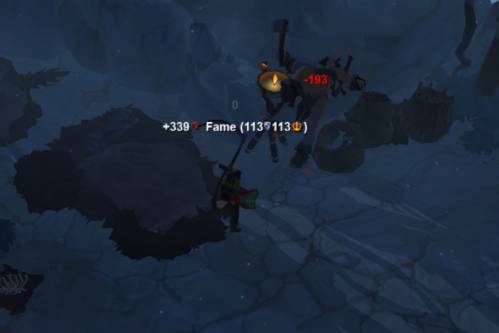 If you kill a mob in a yellow zone or a yellow zone Hellgate, you will receive an additional 50% fame. If you kill it in a red or black zone, or a red or black zone Hellgate, the bonus will be 100%. Additionally, the display of fame gains has been changed, so you will be able to see more easily where you get bonuses from. With Cador, we have brought in UI scaling – an option to scale down all windows on the PC so you can fit more information on your screen. Furthermore, there are additional improvements on the visibility of spell feedback and a new spell bar design. We are continually working on our User Interface to make it more clear, easier to use and have it offer better readability for all our platforms. 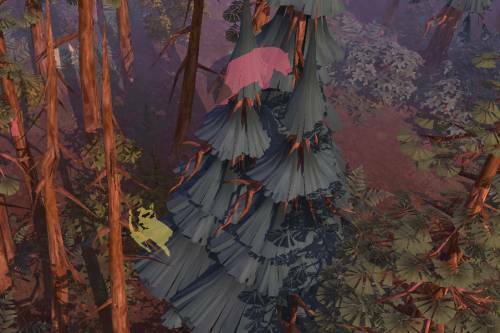 Another graphical update the game receives with Cador is the fact that you are now able to see mobs and characters even if they are standing behind an obstacle like a tree or a rock. The improved visibility is achieved by neat character outlines that give you a rough idea what to expect behind objects in the world. A new death mechanic is introduced in Cador. 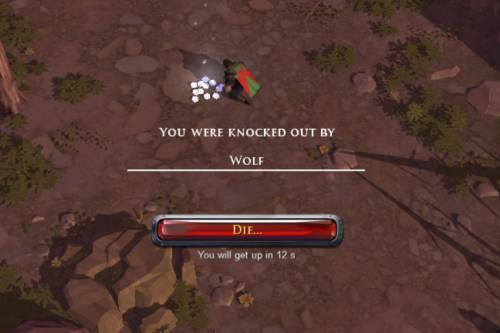 Instead of dying directly when being reduced to zero hit points, you now get knocked down first. 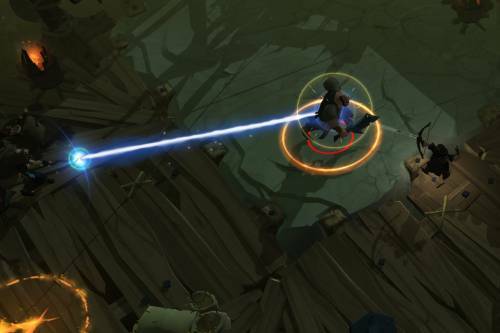 While knocked down, a character slowly regenerates hit points and an enemy – be they player, or mob - needs to move in for an execution before the hit points are restored. 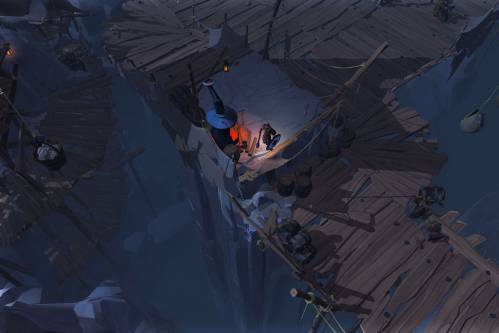 This new mechanic offers a new strategic element for Player versus Player combat, as executions and resuscitations become a part of the larger battle. It also allows PvE groups to continue their dungeon endeavors if one of their own gets knocked down but the rest of the group manages to survive the fight. And, naturally, a plethora of bugfixes.